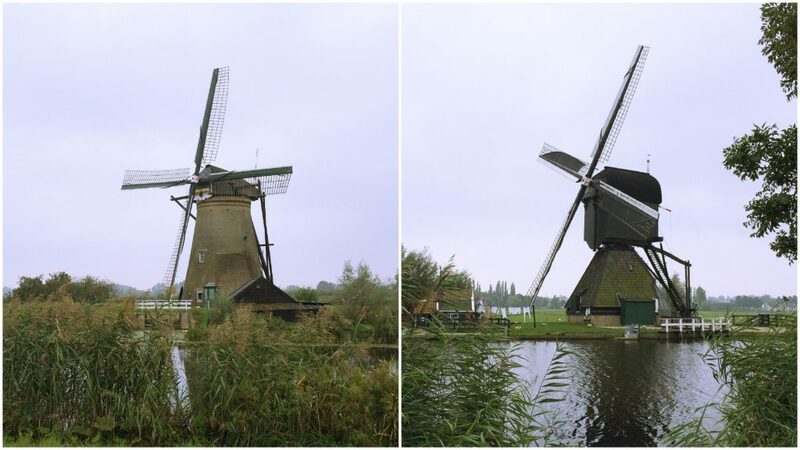 When in Rotterdam, one must do a day trip to The Netherlands’ most famous windmills! 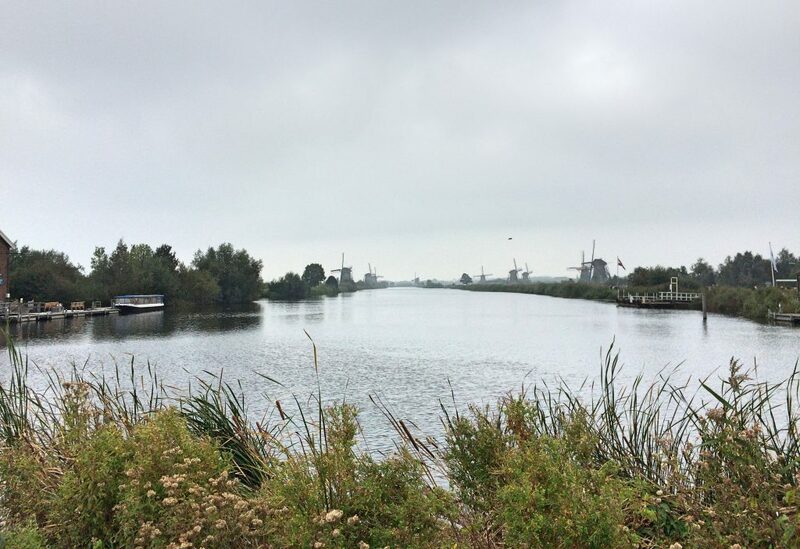 So despite the clouds, we set out for Kinderdijk, the UNESCO World Heritage Site where 19 windmills were built in the 18th century to drain the low-lying land. Our route in blue from Rotterdam to Kinderdijk. Kinderdijk is 15km from Rotterdam. 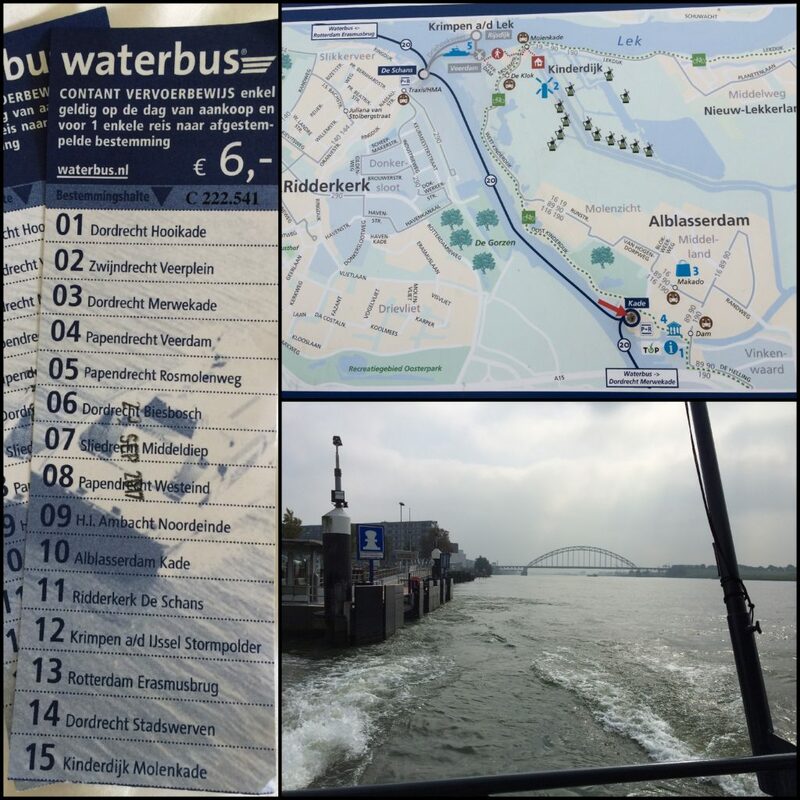 We decided to take the route north of the Nieuwe Maas river because we’d heard it was the most scenic. Up until this day, we’d enjoyed unseasonably warm and sunny end-of-September weather, but alas, it was cloudy and a bit cool when we set out to Kinderdijk, though the weather network promised it wouldn’t rain. I really hoped not; I’d lost my precious rain cape and my Brompton tote rain cover during our ride from Amsterdam to Leiden and was now not equipped for a downpour. Cloudy look back towards Rotterdam as we ride east out of the city. 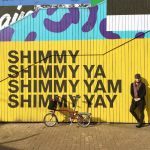 After previous experiences trying to navigate bike routes in The Netherlands without understanding their map system (more info about that here), we were fully prepared to get a bit lost on the way to Kinderdijk. 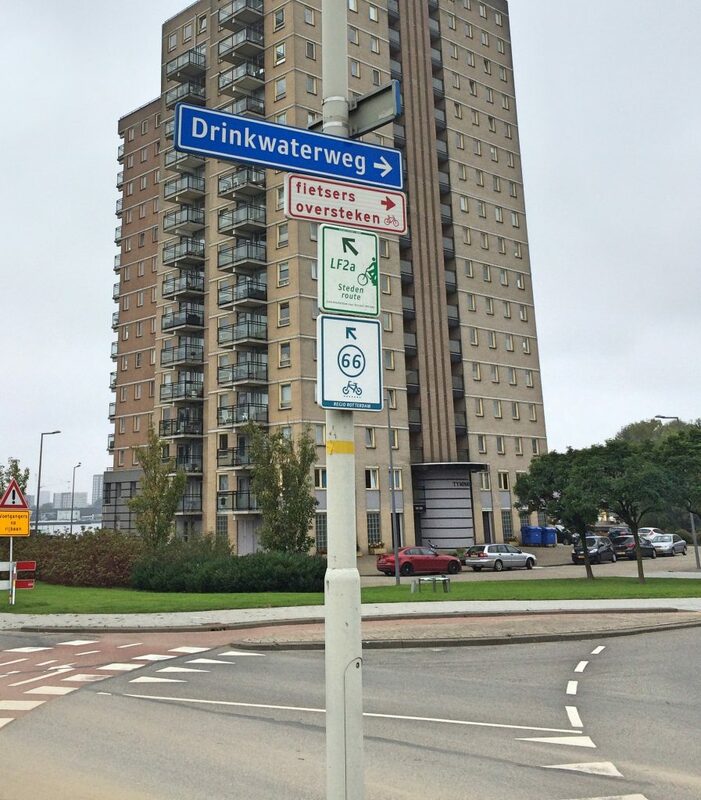 However, we were pleasantly surprised to discover that signage around Rotterdam was much better than around Amsterdam. 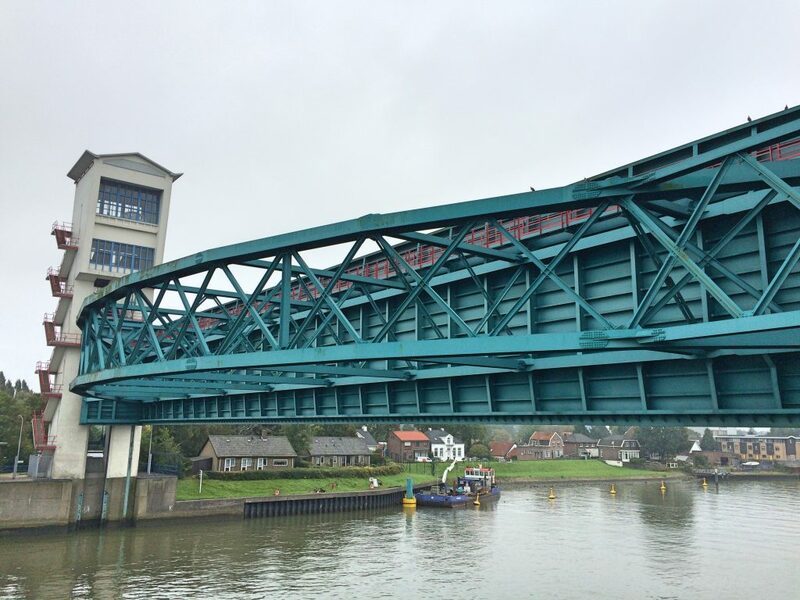 It also helped that an LF route goes straight from Rotterdam to Kinderdijk. Look, a sign we understand! LF routes are signed like highways (so the numbers apply to roads, not intersections like the Junction Route system), which makes them easy for two clueless North Americans to follow. Since we knew that LF2 went to Kinderdijk, we could ignore the circled numbers that we didn’t yet understand and just follow the LF signs. And of course, there are bike lanes the whole way! 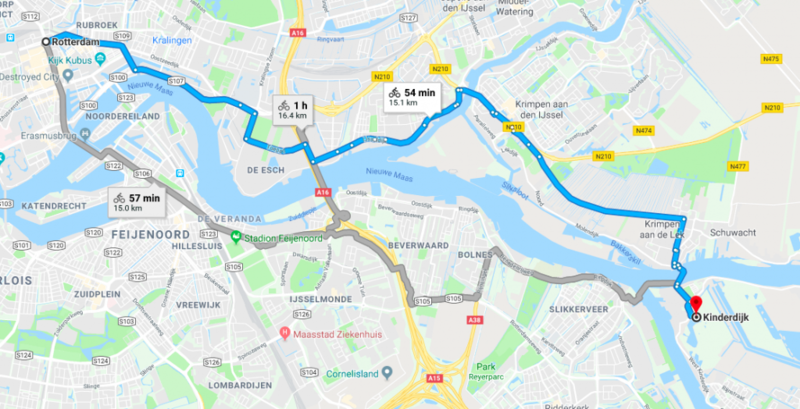 This route travels along the river, past industrial areas that somehow manage to be picturesque, then curves north away from the river Nieuwe Mass and follows Hollandsche IJssel for about a kilometre until crossing over at a Delta Works dam. Once out of the industrial area, we found ourselves cycling past farm fields divided by canals. 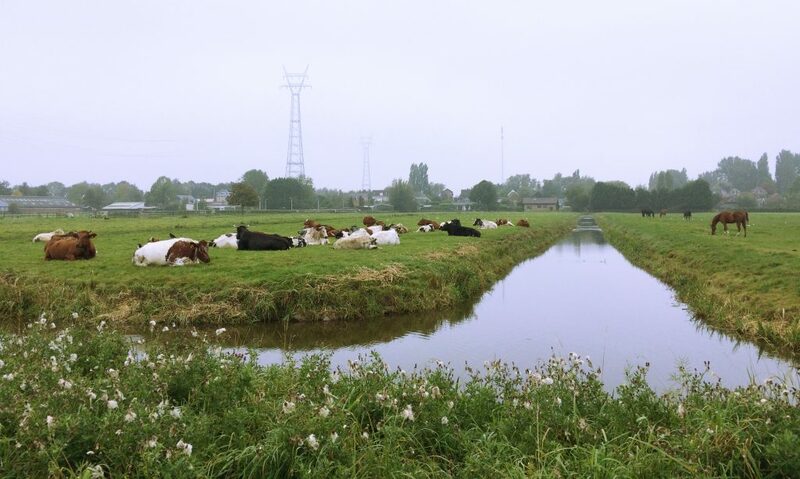 No need for fences when you have canals to separate your cows and horses! 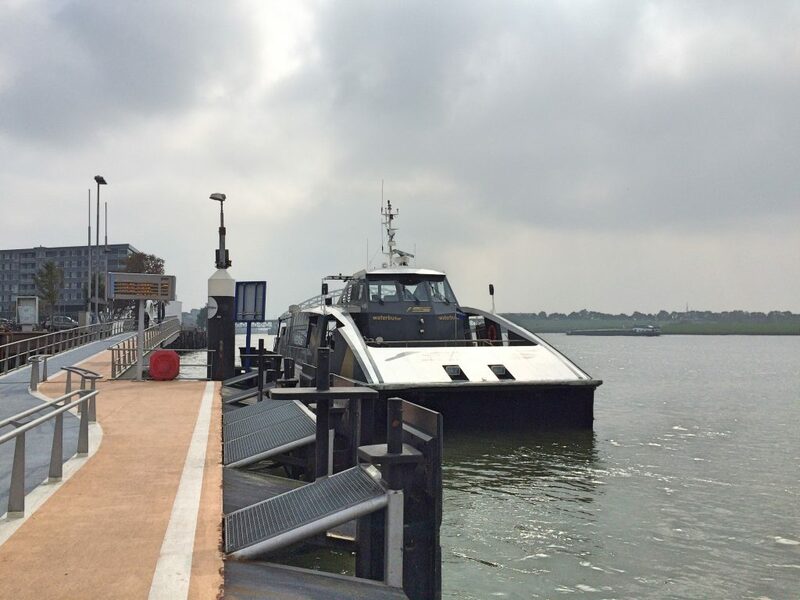 … where we quickly found the teeny-tiny ferry that took us across De Lek river to Kinderdijk. After that ride, it was time for lunch! Pier eating lunch while watching the ferry return to Krimpen aan de Lek. Behind us were more signs, and we followed LF2a straight to the windmills! We went to buy tickets, and were pleasantly surprised to learn that we didn’t need them – we could just bike right in! 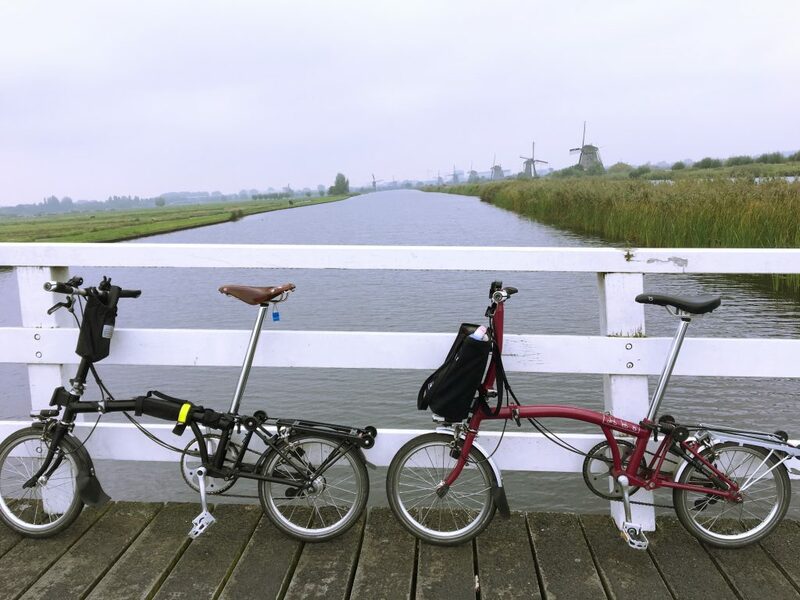 If we wanted to go inside the windmills or take a sightseeing ferry, then we’d need tickets, but since we only planned to cycle around, visiting Kinderdijk was FREE! The Kinderdijk UNESCO World Heritage Site covers quite a big area and we were glad we weren’t on foot. No wonder most of the walking tourists don’t make it past the first couple windmills! Even we didn’t see everything; the cool dampness of the day was seeping into our bones, so we decided to turn off windmill lane a bit early and head down to Albasserdam to catch the ferry back to Rotterdam. 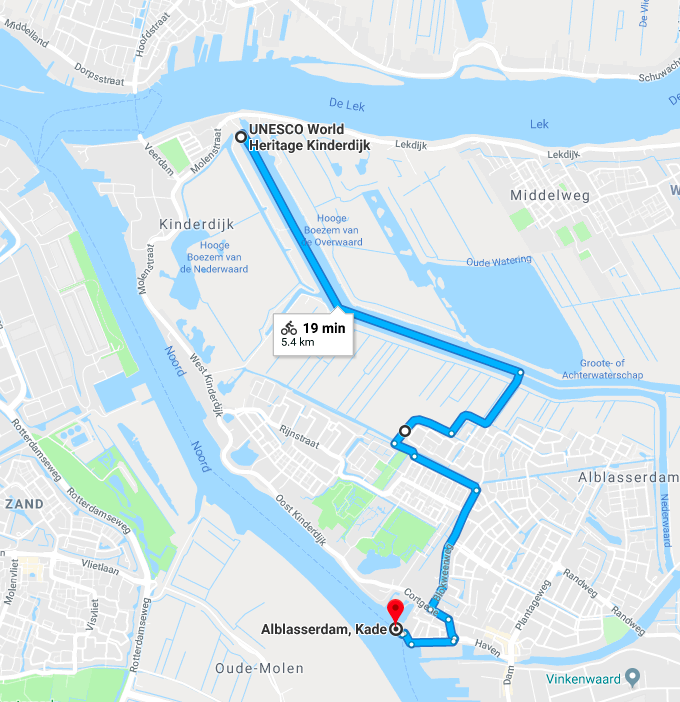 Our route from Kinderdijk to the ferry terminal. We cycled on a bike path (or maybe it was a tiny road, though we only saw bicycles on it) alongside farmers’ fields divided by more mini-canals. We arrived in Albasserdam with plenty of time to catch the Waterbus. 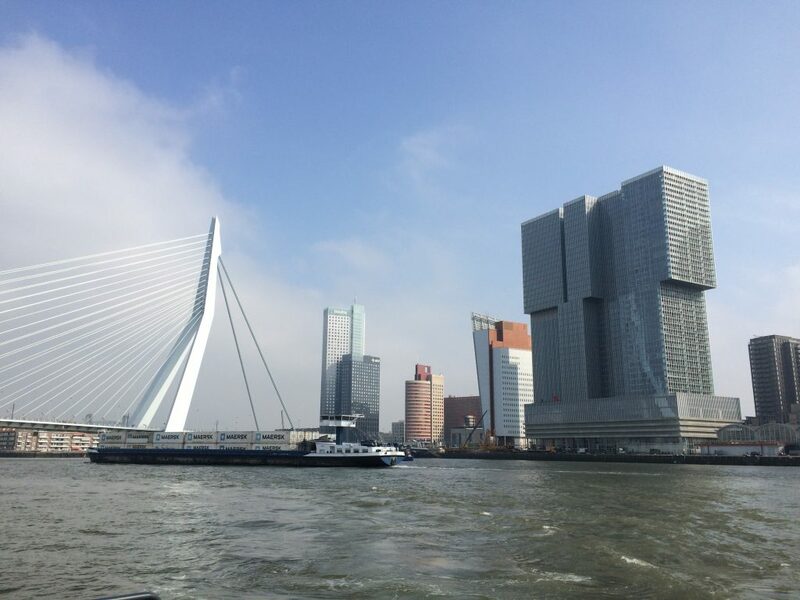 As we arrived back in Rotterdam, the sun came out. 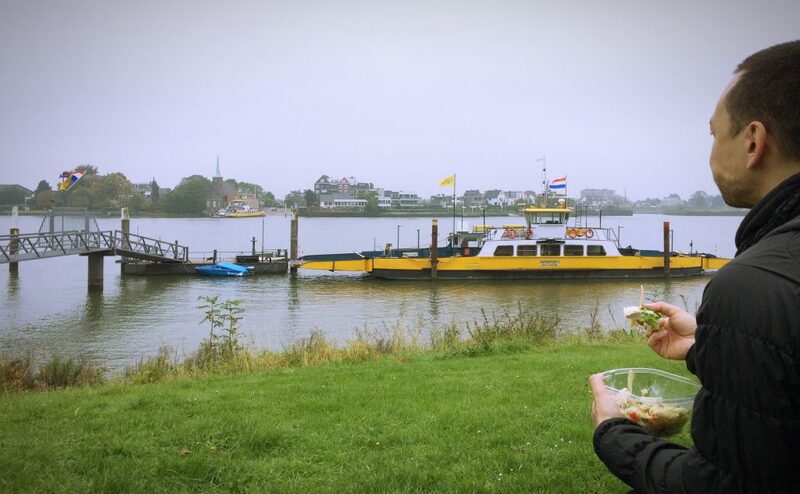 Though we wish our ride to and through Kinderdijk had been sunnier, we can’t complain – this was the only cloudy ride of our entire Netherlands trip!